Welcome to guest blogger Sherry Isaac. Sherry and I met in a church basement a couple of years ago. We both had stories accepted in Canadian Voices Volume 1. She got me involved with readings at Prana Cafe. I got her involved in Crime Writers of Canada. We've both come out with our first books in the same summer and now we've both guested on each others blogs. Also check out an interview with one of Sherry's characters on Nighthawk Talk. Life isn’t scripted, but sometimes life makes for good script. As the mother of four, I have oodles of fodder. Our dinner table talk is filled with stories. Some, admittedly, not suitable for print, due more to the amount of embarrassment to the protagonist rather than illicit content. I started a tradition when I moved east and traded open prairie for Toronto skyscrapers. Tucked into Christmas cards a one-page letter, double-sided, narrow margins, 10-font type, encapsulated the past year of our busy lives. I wasn’t writing for prosperity. I was keeping in touch, late at night, head bent over kitchen table, after the children went to bed. I always wanted to be a writer, a yearning I kept to myself because I was afraid to believe in the impossible. The letters were a secret indulgence in dreams. And the letters cracked up my relations. Compliments rained in, along with comparisons to Erma Bombeck’s no-holds-barred, crayon-on-the-wall style. Compliments from friends. Compliments from critical family. Maybe I could write. Not that I would ever aspire to become the next Ms. B, but family anecdotes are fun. Bu maybe I could write fiction. 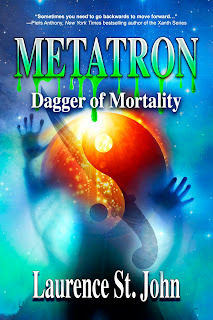 No matter the genre, life can’t help but trickle into fiction. Characters, conflicts, setting, relationships. True life is as satisfying to write as fiction, and sometimes more. To take a real situation and massage it into pleasing prose, into storytelling art, and elevate it from dinner-table chatter to print, is a gift to my family. Recording family life is an honour. It is a labour of love. If I Find It, Can I Hit You With It is featured in Storyteller (In Our Words, Inc., July 2011). An excerpt is printed here for your enjoyment. Only the names have been changed to protect the embarrassed. If I Find It, Can I Hit You With It? Mom, I can’t find my sweater. I can’t find my Frisbee. I can’t find my calculator, and I have a test today. I can’t find my lunch kit, my yellow shirt, my Etch-A-Sketch, my mood ring. Our days were riddled with missing items; the morning rush as we readied ourselves for work, school and daycare our witching hour. “It’s not there!” Oscar wailed, his campaign abandoned by his only brother. “But I looked and looked and I still can’t find it!” My 7-year-old’s feet tapped a staccato rhythm on the carpet. From the tone in his voice I could tell he was on the verge of tears. It was a tragedy, to be sure. Motherhood had induced me to become an expert at a variety of tasks: I could answer the phone and carry on an articulate conversation with a mouthful of toothpaste, I could nurse a baby as I folded laundry, and I could stop my urine in midstream for an indefinite period of time while I went in search of a missing stop watch. It was neon yellow and plastic, a give-away at a local store’s grand opening. Oscar was the store’s one-hundredth customer. The sentimental value was immense. The stories in Storyteller are just fantastic, Sherry. I am thoroughly enjoying reading it, and I didn't even read the excerpt here because I'd rather read the whole story at once. People may think my praise for your writing is because we're friends, but friendship aside,Storyteller is so brilliantly written it evokes goosebumps, heart-pounding, aha moments,laughing out loud, sighs of satisfaction and moments to ponder. And I'm only half-way through! Oh, and about this article, I must say, my very first published story, Downhill (Quick Brown Fox, thank you Brian Henry) was taken right out of real life, but I doubt anyone would believe it! 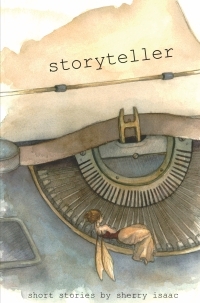 I can't wait to get my "second-off-the-press" copy of STORYTELLER, Sherry. I'm going to share with Alison's readers something we already know. No. It's NOT the peanut butter and dog story. Relax. 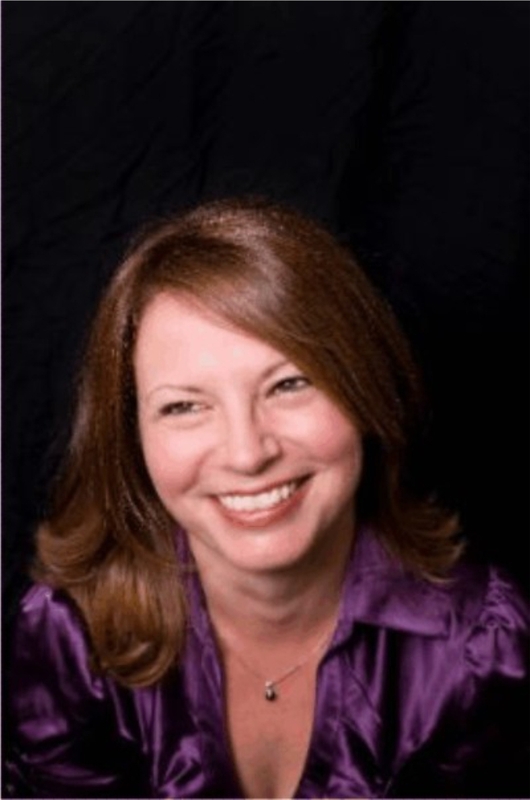 I "met" Sherry on-line through her voice during an online Margie Lawson course. We connected and became long distance chat, critique, writing, and "friend" buddies after the course ended. Finally met in person in Denver for IMC eight months later. I sent her a corny card once. "In my imaginary world you'd live right next to me." Texas/Toronto, not next door, but her talent with words closes the distance. Congrats, Sherry! See you in Atlanta. And, Alison, I love UNDER A TEXAS STAR. I'll let folks on Amazon know. I remember listening to Sherry read If I Find It, Can I Hit You With It? at Prana. I almost choked on my coffee. She captured what every mother goes through - especially if you have a son. Gloria, what fun to see, 'See you in Atlanta!' in print, like it's for really real. Alison, thank you for playing host. Great story Sherry! At my house its not just the kids who can't find anything. I could easily slip my husband in there too! Why is it women come with the real compasses? All I can say is, you don't have the whole story, only an excerpt! Love the excerpt! I had two children, six years apart and it was a trial. I don't how you survived four of the little monsters. That piece is always a hit with mothers. And nearly every mother counts her husband in with the kids! Thanks for visiting!